Human Kinetics was founded in 1974 by Rainer Martens, a kinesiology professor at the University of Illinois, and his wife, Marilyn. The company began in the basement of the Martens’ home, where orders and payments were taken in three vegetable bins on a Ping-Pong table. Over the years, Human Kinetics has grown, moving into various houses and now in its current location on Market Street. Today, the company employs 235 individuals in the United States, and 31 individuals in three subsidiary offices located in Canada, Europe, and Australia. Human Kinetics leads the world in providing physical activity related information through textbooks and their ancillaries, consumer books and journals, online courses, software, and audiovisual products. These products touch the lives of millions of people, including college students and professors, personal trainers, rehabilitation specialists, athletes, coaches, physical educators, nutritionists, parents, and sedentary people who want to become active. Annually, Human Kinetics publishes over 120 books, and 29 journals with all content available online to subscribers. In fiscal year 2014, the company released 213 products, and 127 of them were multimedia products (CDs, DVDs, online resources, online study guides, ancillary products for our textbooks, and online courses). They celebrated their 40th year in business this year! Human Kinetics has been listed as one of the Top 10 Best Book Publishing Companies to work for. For over 30 years, HL Precision Manufacturing, Inc. has invested in their people, resources & technology to become a leader in the advanced CNC Machining & Manufacturing industries. Their compassion for personal connection & precision work combined with their commitment to their people-first culture has inspired the members of HL to place a priority on improving the lives of the people who make their business possible. 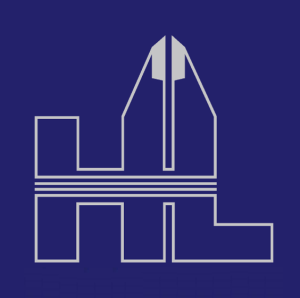 Utilizing the latest in CNC machining, fabrication, welding, & inspection technology, HL Precision has built a reputation for excellence in precision work, competitive pricing, customer service and solutions for your every need. In turn, the solutions they provide have led HL Precision’s customers to have a very favorable view of the company & they view those relationships as long term, value-added relationships. Principal industries served: Defense/Military; Automated Retail; Agri-Business; Transmissions; Analytical Instruments; Electronic Assembly & Retail; Food & Beverage; Life Sciences; Microwave/Radar; Scientific/Medical Instruments; Industrial Controls/Instruments; and Communications & Telecom. Named Champaign County Small Business of the Year in 2010. In their state-of-the-art facility, they have 85,000+ SF of combined precision workspace. At Frasca, their sole mission is Aviation Safety. Since 1958, Frasca has been a leader in the flight simulation industry and a major proponent of improving aviation safety worldwide. At Frasca’s 90,000 sq. ft. manufacturing company in Urbana, IL, the company employs nearly two hundred professionals, with a wide range of skills including assorted manufacturing disciplines to highly advanced, aeronautical engineering. Through the use of Frasca flight simulators, pilots are able to train to the highest level of proficiency, enhancing overall aviation safety. Frasca leads the way in the flight simulation industry, with over 2,600 simulators sold worldwide in 70 countries. For flight schools, Frasca provides flight simulators that are exact duplicates of the aircraft that pilots are learning to fly in. For larger jet aircraft or today’s multi-purpose, helicopters, Frasca can build a flight simulator that meets their customers very stringent, mission focused requirements. On average, Frasca delivers approximately 50 training devices of various types and qualification levels to several countries worldwide per year. Frasca simulators helped train the first female Afghan Air Force combat pilot. In the aviation industry, “Frasca” is used as the common term for simulator the way Xerox and Kleenex brands are substituted. Rudy Frasca’s F2M Wildcat was featured in the film “The Battle of Midway” starring Charlton Heston. Rudy’s P-40 was featured in the film “1941” starring John Belushi and directed by Steven Spielberg. 2007 Innovation Celebration Longevity Award Winner. The Dart story begins with a small machine shop in Michigan known as Dart Manufacturing Company. Established in 1937, this modest business prospered through the manufacture of such products as plastic key cases, steel tape measures, and identification tags for the armed services. Subsequent experimentation with expandable polystyrene in the late 1950s led to a line of high quality insulated foam cups, and Dart Container Corporation was born. On May 4, 2012 Solo Cup Company was acquired by Dart Container Corporation. Foam cups, containers and lids; Plastic cups and lids, Fusion cups, Plastic cutlery, Bowls, Portion containers and lids, and more. 1950s – Solo introduces 2-piece wax-lined cold cups for serving cold drinks at drive-in theaters throughout the country. 1970s – Solo introduces its signature red plastic cup. 2004 – Solo works with Starbucks and its suppliers to develop the first-ever FDA approved paper hot cups made with 10% post-consumer recycled fiber. 2010 – Solo Cup Company partners with the Chicago Cubs to introduce the “Real Fans Recycle” program at Wrigley Field. Fans can now recycle all of their plastic cups in specially marked bins throughout the park. In its first season, the Chicago Cubs and its fans divert approximately 165,000 pounds of cardboard and plastic material out of the waste stream and back into the market in a recycled form. 2011 – Solo celebrated its 75th anniversary in 2011. Started on the south side of Chicago during the Great Depression, Solo is now a $1.6 billion global company with facilities in Europe and The Americas. Columbia Street Roastery is a local company that sells coffee & tea. At Columbia Street Roastery, they consider coffee and what they do with it to be more than just a job – it is about creating a product that they are proud of, as well as one that those who both grew and processed the coffee would be pleased and proud of. Columbia Street Roastery is proud to be a self-contained coffee operation. Any product which bears the Columbia Street Roastery name is roasted and packaged at their local plant on Columbia Street in half, one, two or five pound bags and even fractional packs ready for brewing. CSR directly imports teas from China, India and Sri Lanka for CSR’s line of traditional, decaffeinated and flavored iced teas. CSR roasts 19 different varietals from 16 different countries. 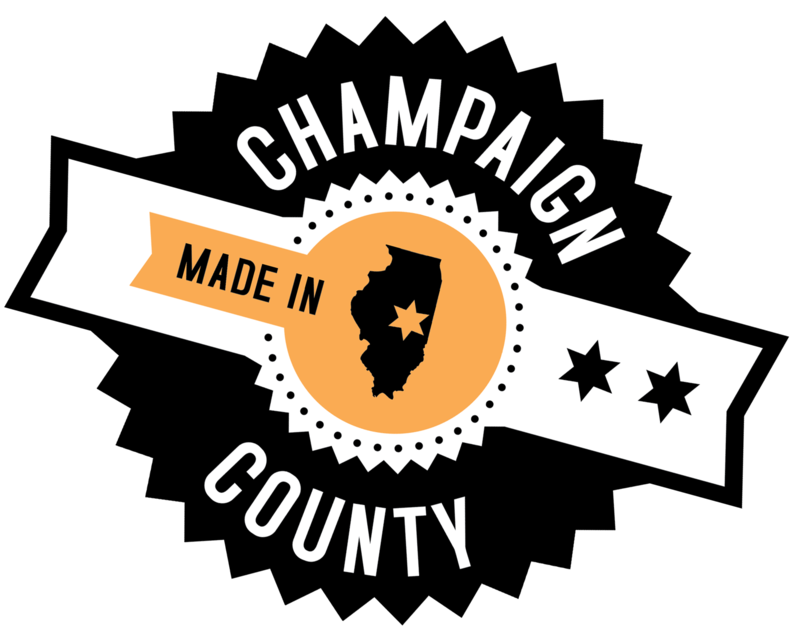 These coffees can be purchased as single varietals or blended to supply restaurants and coffee houses throughout a 100-mile radius of Champaign-Urbana via a delivery route system. The Herriott family has had a business in Champaign-Urbana, IL since 1951. Herriott Cities Service gas station was the initial business started by their father, Merle. They have regular tours of the facilities on alternate Saturdays. Tours include the bean room, the Roastery, the tasting room and the warehouse.